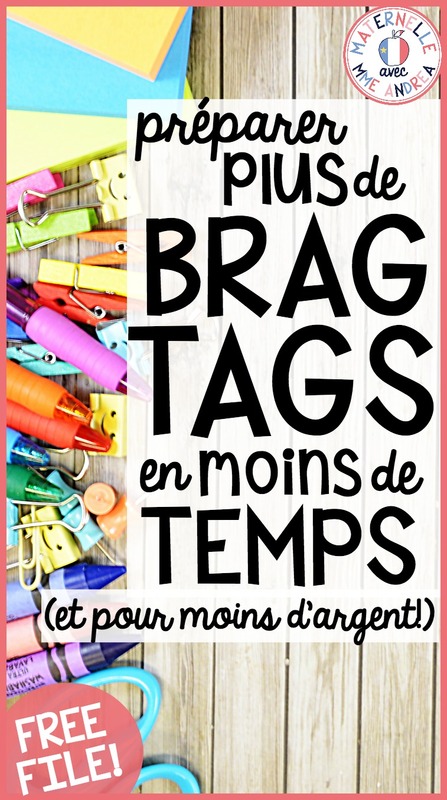 Do you use brag tags in your classroom? 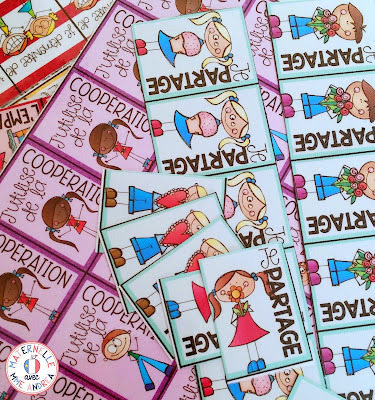 I love how I can use them to reward and reinforce sooo many amazing things my students do, from being great friends, to speaking French, to showing integrity, and persevering. Brag tags are hands down my FAVOURITE classroom management strategy so far. Buuuuuut, they have one major drawback. They take a lot of prep and can be pretty expensive to make! In my experience, a lot of teachers want to try brag tags, but feel discouraged by all of the printing and laminating that is involved. I print and prep mine over the summer, so that I am ready for the whole school year, but it can still be a pretty daunting task! Today, I will be sharing a few tips with you that will hopefully make your brag tag prep quicker, easier, and more cost-effective. If you aren't using the HP Instant Ink program, you are missing out!!! Instant Ink is a monthly printer ink subscription that works with a variety of HP printers, and it is AMAZING! I pay around 14$ Canadian a month, and I can print up to 300 pages - even if all 300 pages are full colour!!! They send my ink in the mail, so I never have to buy ink in-store, and I never have to worry about running out. Pages from the previous month that you may not have used also roll over, so if you take a month off from printing, you could print up to 600 pages the following month. I purchased my HP printer on Amazon for about 35$ on Cyber Monday a few years ago. I think it works great! I also have a referral link for the Instant Ink program. If you sign up using this link, you will get a month of FREE ink. That's up to 300 free pages of full colour printing - more than enough for your brag tags!! The codes also stack - my printer came with three free months and I signed up via someone's referral link, so I ended up with 4 free months. Amazing!!! Let's be honest, if you have to laminate, there is nowhere better than at home, in your PJs, watching your favourite show on Netflix. PLUS, my home laminator/laminating sheets are of much better quality than the school ones, which means that I only have to cut my tags out once, after they are laminated. I just print, put the whole sheet of paper in a laminating sheet, and run it through! Buying my own sheets is more expensive than using the school laminator, of course, but after seven years of teaching... I am starting to realize that my time is precious and worth a LOT! You can get 100 sheets for under 20$, which is much, much less expensive than the brand-name sheets from the store, and I find they work just as well! I can't tell the difference between those sheets and the brand-name sheets. If you need a home laminator, I use a Scotch brand one. I can't find a good deal on Amazon for it right now, but it is usually under 20$ at Walmart. I actually have two home laminators, and run them both at once - cuts my laminating time in half! Can't do that at school! Quality tools cost a but more, but I really feel like they pay off in the long run. Brag tags are all straight cuts, so a scrapbooking paper cutter works great for cutting them out after they are laminated. This works SO much faster than using scissors! This is the one that I use: https://amzn.to/2zolWhg (affiliate link). I like it because it has a paper "scorer" too, so if I make anything that I need to fold (like paper dice), it's helpful for that. But what has been even more amazing than the paper cutter, was investing in a quality hole punch!!! My hole punch can do 6 pages of laminated card stock at a time, and doesn't hurt my hand AT ALL!!! It is seriously so easy!!! Here is the one that I have: https://amzn.to/2DpoHDb (affiliate link - sometimes the price is really wonky on it, but I got it for under 10$). I just slice, stack, and punch six tags at a time. 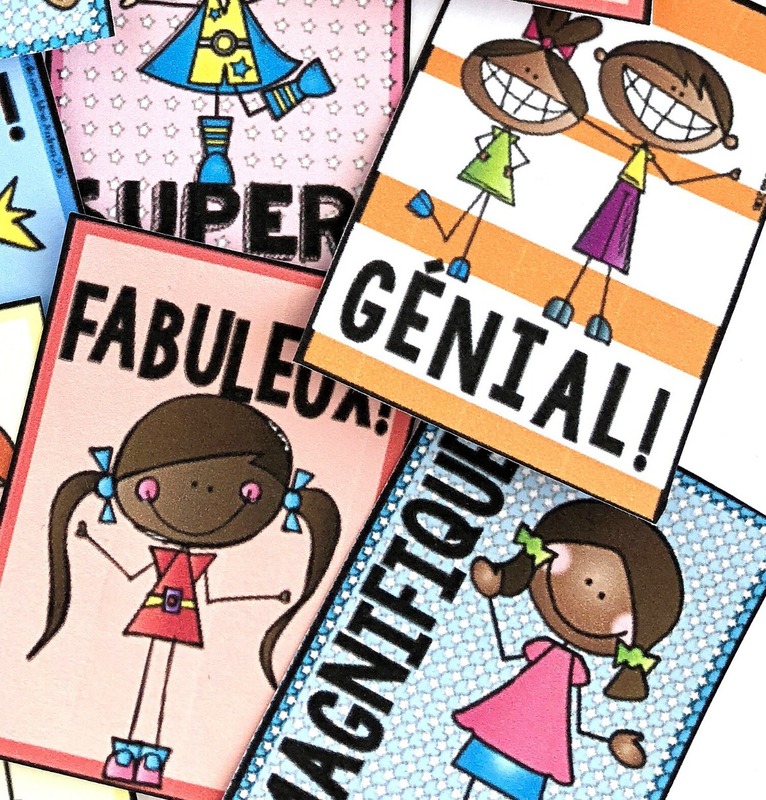 HP Instant Ink, laminating at home using a quality laminator, and investing in a paper slicer and high-quality hole punch will really help you step up your brag tag prep game. And don't forget to consider asking for help and maybe even running two laminators at a time! If you follow the above tips and tricks, they should really help reduce the time and money that you spend prepping your brag tags. And, if you are still on the fence about giving brag tags a go, I have GREAT news! 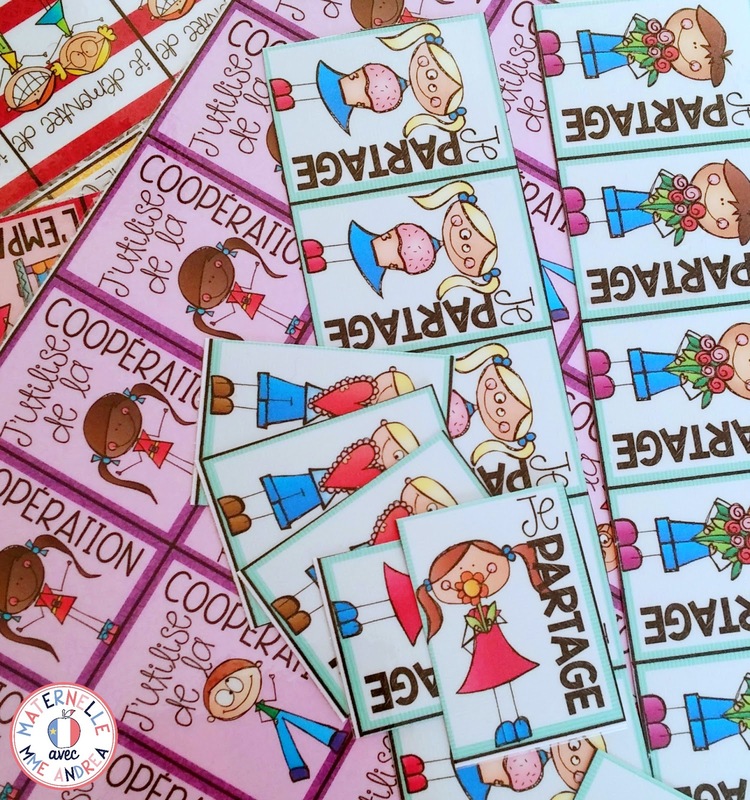 I have a FREE set of five generic (aka useful for any time of year/rewarding ANY behaviour) brag tags that I can send you, so you can try prepping them and handing them out without needing to purchase first. That way, you will be able to see if the full bundle will be worth the investment for you and your students. 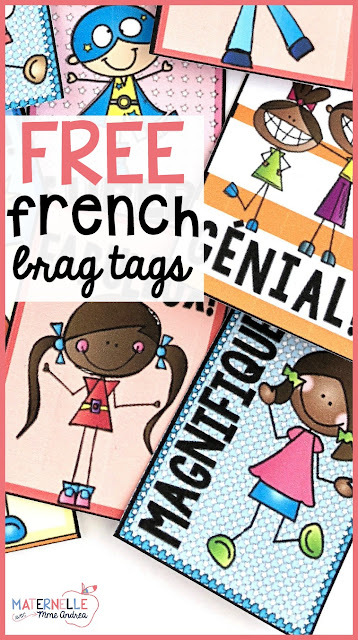 Just enter your info below, and I will email you the freebie, and explain a bit more in detail about brag tags, why I think they are so great, and how I get them to work for me in my French kindergarten classroom. Sign up to receive a FREE sample of tags you can use right away, to reward any classroom behaviour! Sign up to receive my best tips for getting started with brag tags in maternelle, a FREE sample you can use right away, and exclusive access to my Free French Resource Library!